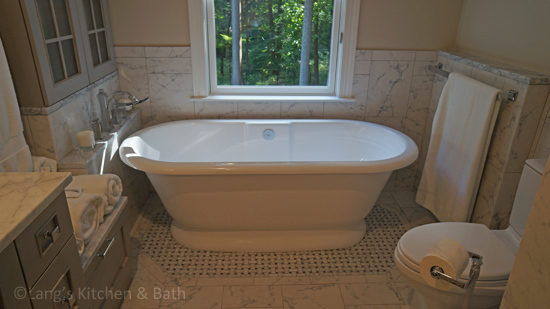 This bathroom in Doylestown received a custom inlaid medallion in the wood floor at the entryway, new windows for enhanced natural light, gas fireplaces, and much more! 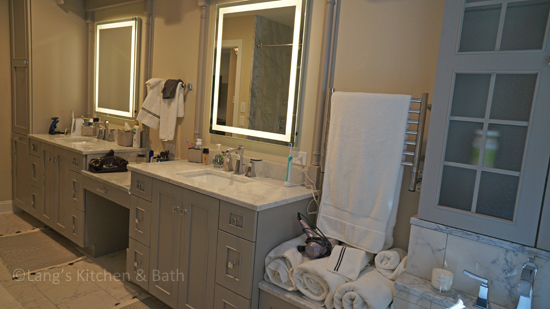 The renovation of this home in the Bucks County countryside updated numerous spaces throughout the house, but the highlight was this beautiful master suite. 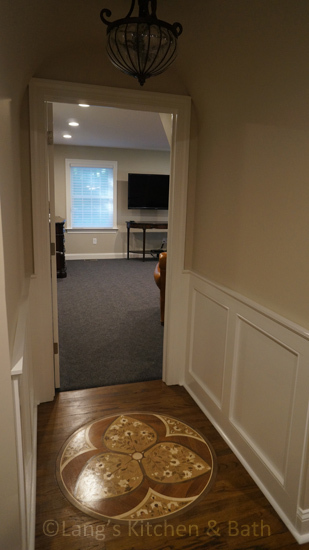 A custom inlaid medallion in the wood floor at the entryway leads to the master bedroom with a large window allowing plenty of natural light. 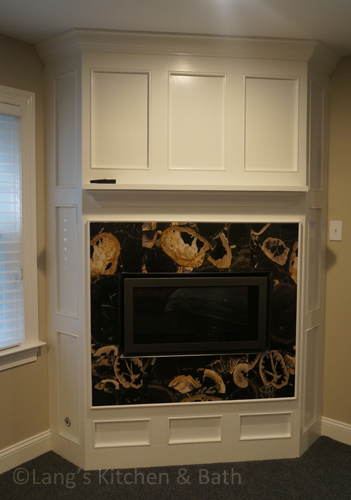 The focal point of the bedroom is a gas fireplace with a unique Ann Sacks petrified wood fireplace surround. 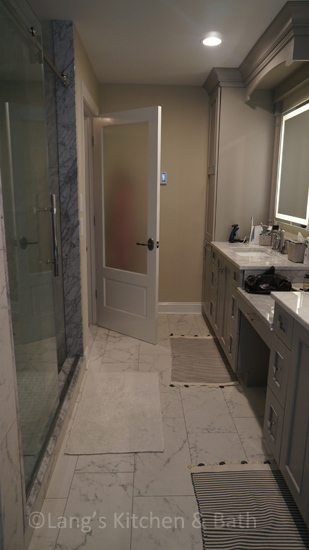 Koch glass entry doors lead from the bedroom to both a walk in closet and the master bathroom. 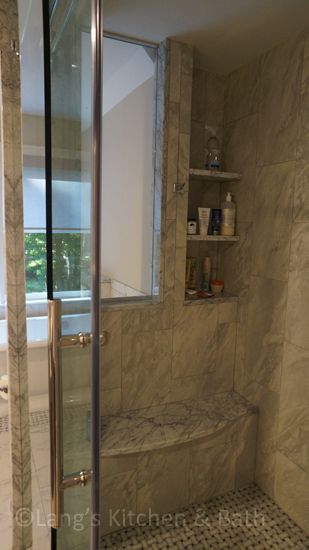 The bathroom design features a large shower with a built in seat, shelves, and a Dreamline shower door, plus a freestanding Victoria & Albert tub. 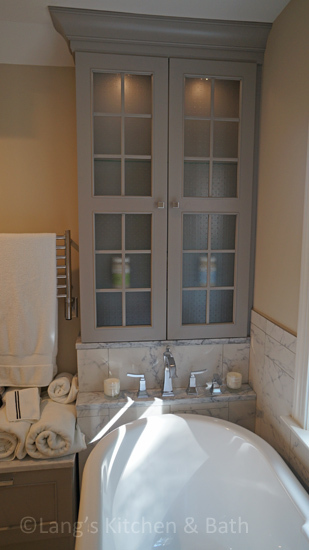 The DuraSupreme vanity is framed by a tower cabinet and glass front wall cabinet. 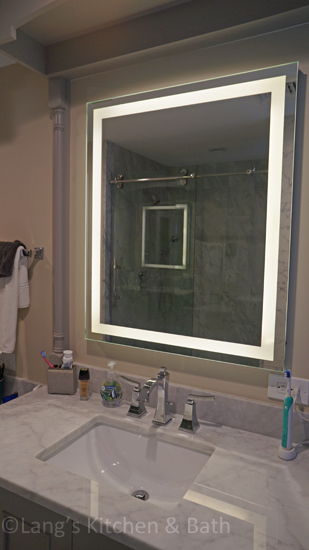 Afina lighted mirrors are perfect for getting ready, and the Amba radiator towel warmer and Warmly Yours underfloor heating provide a warm, soothing environment.